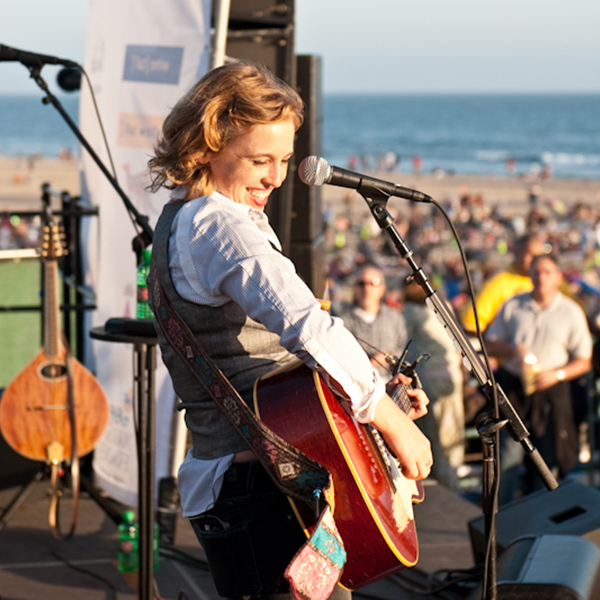 When it comes to live music, Santa Monica is a great place to discover local artists and national talents in a picturesque setting. Wherever you are in the city, live music can be enjoyed on a daily basis. 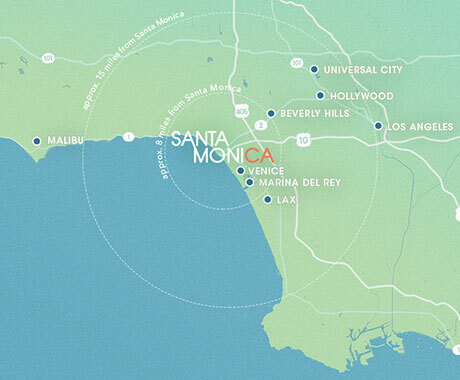 Here are some spots where you can kick back and experience Santa Monica’s vibrant music scene. Spend fall evenings at the Santa Monica Pier’s annual Twilight on the Pier where you can soak in the stunning views and dance to live music under the stars. The Pier also hosts Wake Up with the Waves, a children’s concert series where the little ones can sing and jam out. Jazz on the Lawn at Gandara Park in Santa Monica is another concert series that’s perfect for the whole family. These concerts take place every Sunday in August and a number of food trucks will be in attendance, so get ready to relax on the grass, grab a bite to eat and have fun! There’s no such thing as a bad seat at The Broad Stage, whose intimate setting ensures fantastic views and acoustics throughout. Book ahead for world-class opera, jazz, and classical performances. 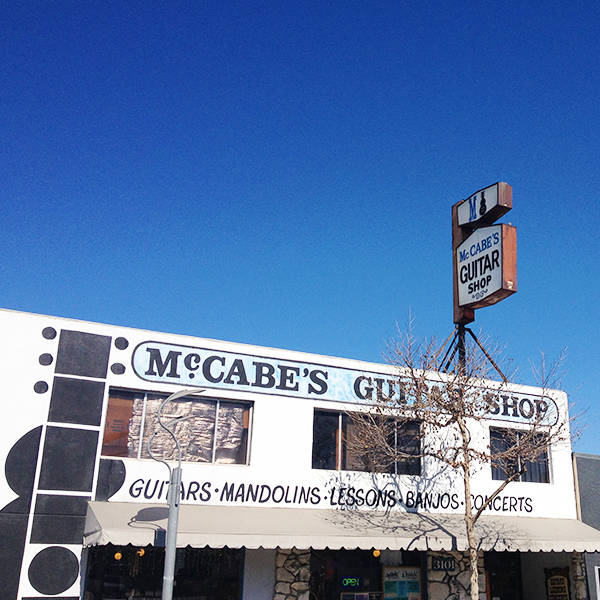 McCabe’s Guitar Shop isn’t just a guitar shop – it’s also a live music venue. Numerous artists have recorded albums at McCabe’s and if you want to learn how to play an instrument, they offer lessons as well. Named ‘Best Neighborhood Music Venue’ by LA Weekly, TRiP is a bar meets concert venue that offers live music seven nights a week including an open mic night on Saturdays. For a more intimate setting, Harvelle’s Blues Club is the place to be and the nightly performers will certainly have the entire place grooving. Enjoy delicious bar bites and drinks accompanied by live jazz, DJ’s, local bands and more at these spots in Santa Monica. Basement Tavern at The Victorian hosts live music throughout the week with everything from bluegrass to reggae. Or, live your dream of being a rock star during their Wednesday karaoke nights. 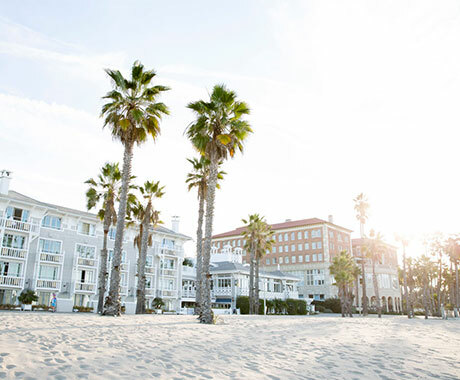 Just a block from the ocean, The Craftsman Bar and Kitchen offers special daily happy hour options and entertainment from various artists including house band, The Old Fashioned, who takes the stage every Friday. Watch the sunset over the Pacific at Terrazza at Hotel Casa del Mar where the decor and ambience will set the mood for a relaxing night of live music. The Main Street Farmers Market doesn’t just feature some of California’s freshest produce, it is also a great place to enjoy musical entertainment for a day out with the whole family. 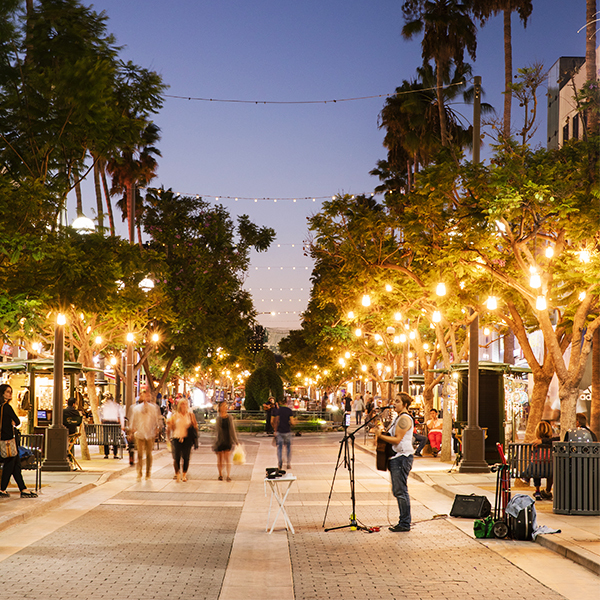 If you’re shopping along Third Street Promenade, you are likely to come across many street performers showcasing their talents, from rapping to singing and more.